ERIC WINNER: Who Will Win the Grand National 2018? Who Will Win the Grand National 2018? What a question to ask at this time of year? Who will be the winner of the Grand National? Saying that, there are plenty of opinions when it comes the the most famous steeplechase of them all. Aintree racecourse is the venue of this exciting race run over 4 miles 2 and half furlongs. Two laps, 30 fences, a grueling test of horse and jockey. The most valuable jumps race in Europe with prize money worth over £1m. This race is known as the housewife's favourite tempting those who rarely bet to have a flutter. If betting, makes sure you take the price because the bookmakers love to shorten the odds just before race start! Make the most of free bets of Grand National. So, which horse catches your eye? Or, perhaps more importantly at this time, which horses are fancied to win the Randox Health Grand National? We know it's a tough race to win. A few basic pointers. In recent years the Grand National winner has been aged from 8 – 10 years of age. Most have raced at least ten times have proven best. As far as the ideal weight it's 11st 3lb. That information may help detail a few fancies. So which horses are making our shortlist? Nigel Twiston-Davies' nine-year-old bay gelding has been earmarked for the Gold Cup so we are talking about a class performer. This son Kafy Tara was made favourite to win the National in 2017. In fact, he looked like the winner when going strongly four fences from home but tired in the closing stages to finish a respectable fourth, beaten less than nine lengths. Many punters are crossing their fingers the ground is faster on the day although Blaklion is a little higher in the weights. This 12/1 shot, at the time of writing, could well be backed and holds each-way claims. The great thing about betting ante-post is that you can really hit the jackpot with huge odds. Five horses have won the Grand National at odds of 100/1. Imagine the price of, let's say, 2009 winner Mon Mone (must have been 200/1+). Taking a look at the betting for 2018 Grand National ante-post odds Blaklion's betting ranges from 10/1 – 14/1 so it proves the worth of checking for the best prices. Another example, Abolitionist is 20/1 with most bookies but 40/1 with Coral. Was priced 10/1 to win last year's National. However, Brian Ellison's nine-year-old chestnut gelding had a disastrous race. He was badly hampered on the first circuit at Becher's Brook and never recovered. 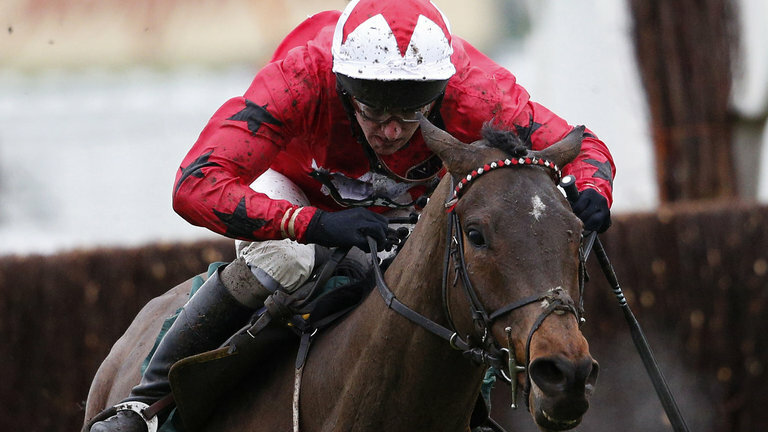 Definitely Red has won his last two races in good style but burdened by a higher weight in this year's Grand National. With odds of 20/1, bookmakers may feel he holds a chance but still has something to prove. Another horse who needs little introduction when it comes to the National. Kim Bailey has always been keen on the chestnut gelding although he didn't live up to expectation in 2017 when a drifter in the betting at 16/1 and finishing 16th place. Punters will remember how he battled hard in 2016 when beaten by Rule The World. At 25/1 for this year's contest, The Last Samuri could be a surprise package if on a going day. Taking a look at the betting: Blaklion 10/1, Total Recall 10/1, Cause Of Causes 20/1, Definitely Red 20/1, Gold Present 20/1, Minella Rocco 201, The Last Samuri 25/1, Anibale Fly 25/1, Gas Line Boy 33/1, Noble Endeavor 33/1, Vicente. An excellent race for ante-post backers. Blaklion looks a fair each-way bet and one for ante-post fans.